At Trail Ridge, we know staying healthy and active is a priority for seniors, and for most, the key to successful aging. 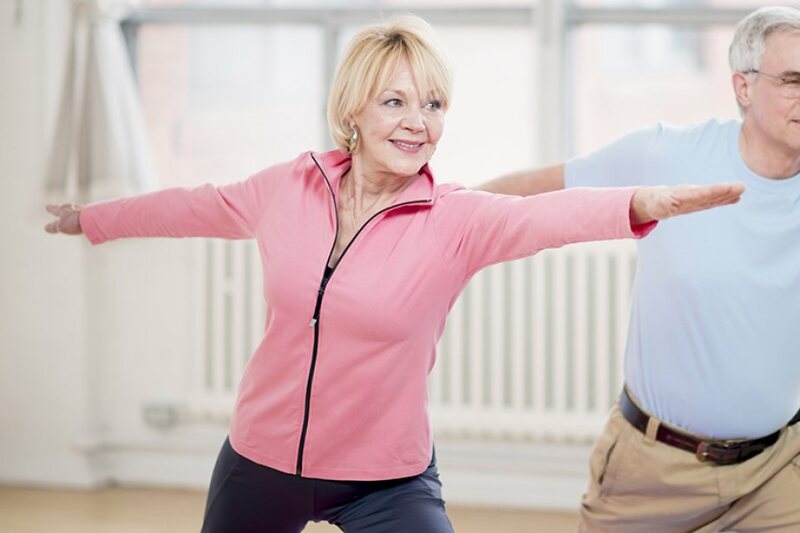 As part of our lifestyle philosophy, we offer robust senior wellness programs with a core focus on strength enhancement, balance/center of gravity, mobility, and postural training. These programs are important, however, our goal is to create a customized approach to meet your wellness needs. Whatever the situation, we are committed to your personal growth & progress. The physical part of senior wellness is just the beginning. Wellness is a process of growth that integrates the mind, body, and spirit throughout life’s journey. It is the blending and balancing of the six dimensions of wellness – physical, social, mental, emotional, spiritual and vocational – to promote and improve one’s health and quality of life. More simply stated, what you do, think, and believe has an impact on your health and wellbeing. Creates a baseline to determine physical progress. Used to evaluate resident needs. Provides data so Wellness Classes can be altered quarterly to ensure training focus is appropriate. Provides a reference point for new residents to start Wellness Classes safely. Over 20 classes per week are available. 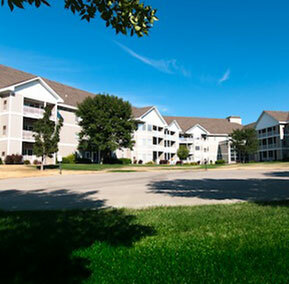 Residents needs vary, and as a result, we have developed 3 distinct levels of classes to provide an opportunity fo rall residents to participate. Classes emphasize functional strength & balance, along with gait training, flexibility, postural control, & center of gravity training. One of our main goals is fall prevention & preservation of the independent lifestyle. However, if you have other personal goals, we can create a program that best meets your needs. Nature Walkabouts provide an opportunity to enjoy the outdoors at numerous area attractions. Trail Ridge is registered by the International Council on Active Aging (ICAA). The ICAA is the premier organization that specialized in exercise for the 50-plus population. Our community follows the ICAA age-friendly facility recommendations. Staff qualifications include college degree in Exercise related field, certifications in NSCA (National Strength & Conditioning Association), Arthritis Foundation, CPR, First Aid, and Automated Defibrillator. We offer age-specific Functional Assessments to ensure our residents receive appropriate exercise prescription (cardiovascular, strength and balance training, with a warm-up and cool-down period) based on an individual’s level of function and desired goals. With over 20 classes per week, we are able to evaluate and address individual functional levels appropriately. All programs are age specific and suitable for various physical concerns. Look no further than Trail Ridge in Sioux Falls, where our senior wellness programs are part of our commitment to a healthy active lifestyle. Senior wellness is a part of everything we do. Please give us a call at 605-339-4847 to learn more or schedule a tour.